Pasha used to post on WUS from years ago: https://forums.watchuseek.com/search....chid=134311887. As you can see, all his photos have a similar style and lighting. The Kirovskie fits right in. I'm betting it's his. 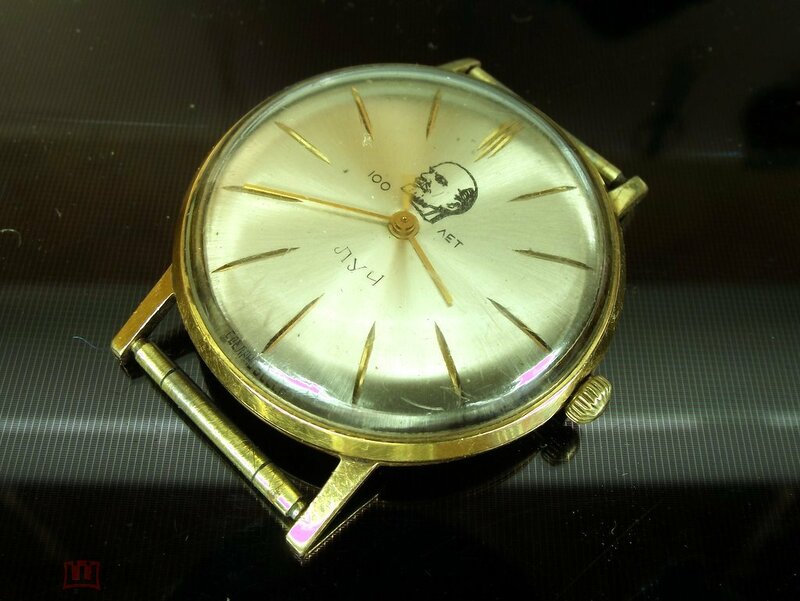 Actually, the seller is well known for specializing in top quality gold watches of the Soviet era -almost always in NOS conditions, and very often with full set of box and papers. i really, really don't care what he's known for, even though I've know of him for a long while. No service - no sale. Thank you Dash, it is very nice from your side. That one is for sure extra rare, but experience shows, that is possible to find most of watches, it is a matter of determination. I think you know it best, your collection is crazy good and huge. Luckily, I recently found his brother, so I won't be bidding (probably wouldn't anyway at that price). Wow...you don't see them very often...! bpmurray, elsoldemayo, Straight_time and 2 others like this. Attractive dial, anyone see this before? dutchassasin, elsoldemayo and Chascomm like this.